A medical problem has forced our good friends in hONEyhoUSe to bow out for this Friday’s Black Rose concert. We have a wonderful show for you, though. 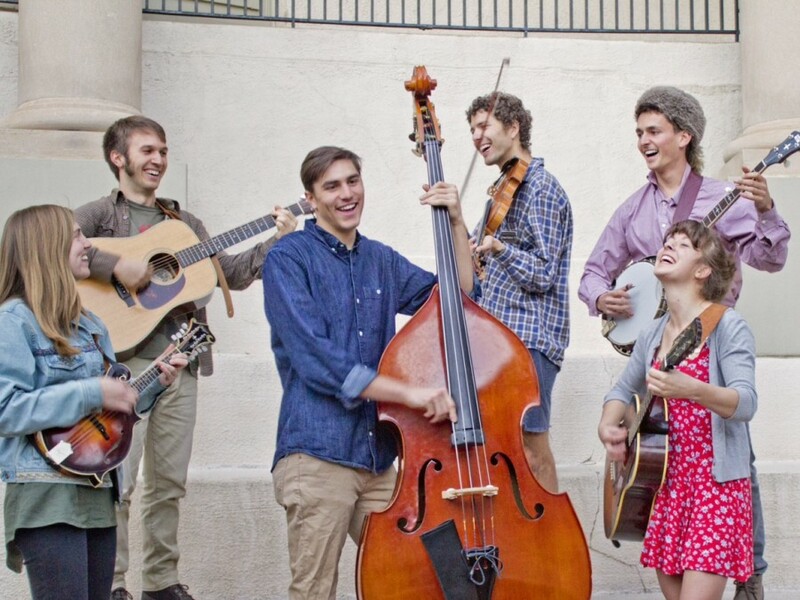 The good folks of the Colorado College Bluegrass Ensemble will take our stage instead. The CC Bluegrass Ensemble is an academic instrumental and vocal program that provides students a challenging and creative environment in which to develop material with the feel and structure of bluegrass music. Keith Reed, a seasoned touring musician, leads the program at CC. The ensemble draws mainly from traditional sources including Bill Monroe, Flatt and Scruggs, Jimmy Martin, and the Stanley Brothers. The group frequently performs at the Durango Bluegrass Meltdown held annually in April, and we try to have them as our feature act at least once each year. Our show with them last April was cancelled because of a snowstorm, so we’re glad to welcome them back this Friday. Most of last year's senior ensemble graduated in May, so it’ll be fun to see the new group of talented, young musicians Keith has assembled for this year. As a bonus for us at this show, he'll join the group on banjo! Come on out and join us for a fun, energetic show this Friday at our little concert hall in the woods. The Black Forest Community Center is just 9 minutes off I25 at 12530 Black Forest Rd, just north of Colorado Springs. It’s the log hall at the corner of Shoup and Black Forest Road. $10 general admission; $5 members and students w/ ID; free for ages 12 and younger.